BRING THE HORSES! This property combines 4 lots, to include a brick ranch, and open land for horses, cattle, or building additional homes. Located a short 10 minutes from Radford, and 15 minutes from Dublin, this property can be your final destination. 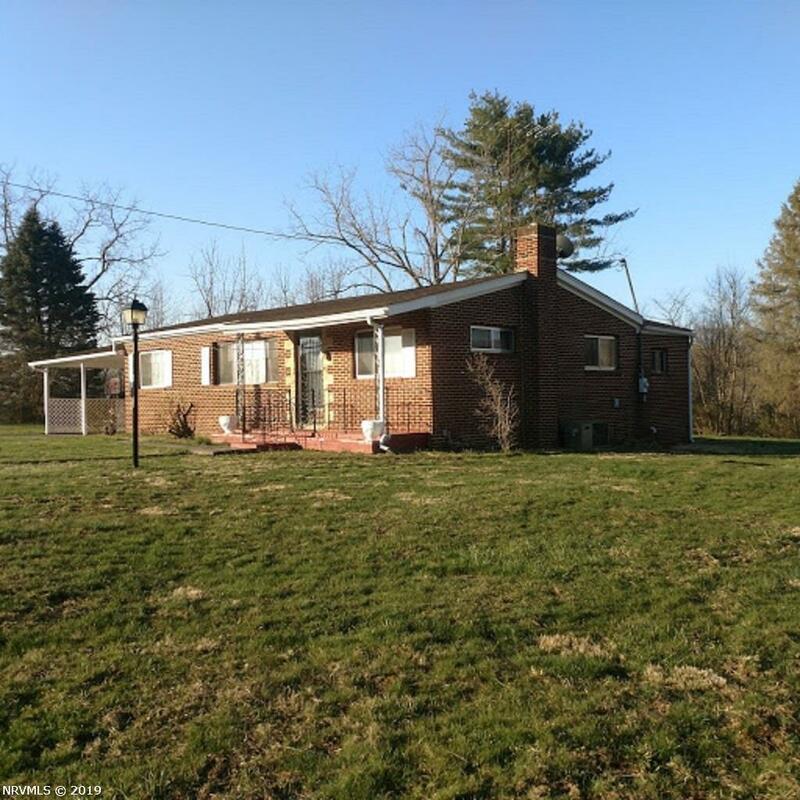 The brick ranch is a 3 BR, 1 Bath home with carpet over hardwoods in most of the home. The home is heated by propane gas forced air furnace, and has an interior AC system. The roof is a 30 yr. architechural shingle roof, installed 8 years ago, and the home has a double attached carport for parking. There is a nice storage building in the rear for parking. This property offers so much for the new owners, and the care to the property is evident. Home and land are being sold as a combined total, estimated at being 6.69 acres total. Directions: From Fairlawn Rt. 114. Take Belspring Road 6 Miles Across Parrott Bridge. Turn Left On Mtn. Road For 1 Mile On Left.